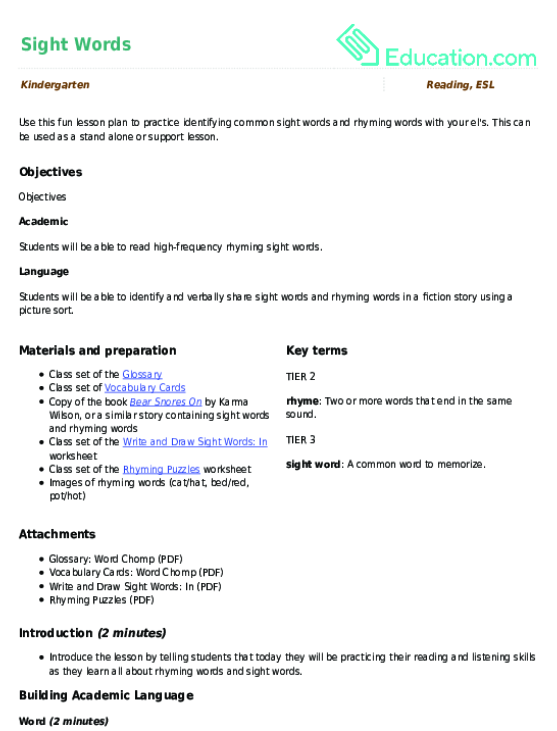 Help your child learn sight words with this kindergarten reading worksheet. 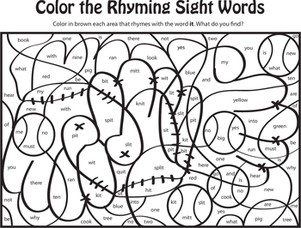 Your child will color the words that rhyme with it to reveal the hidden picture. 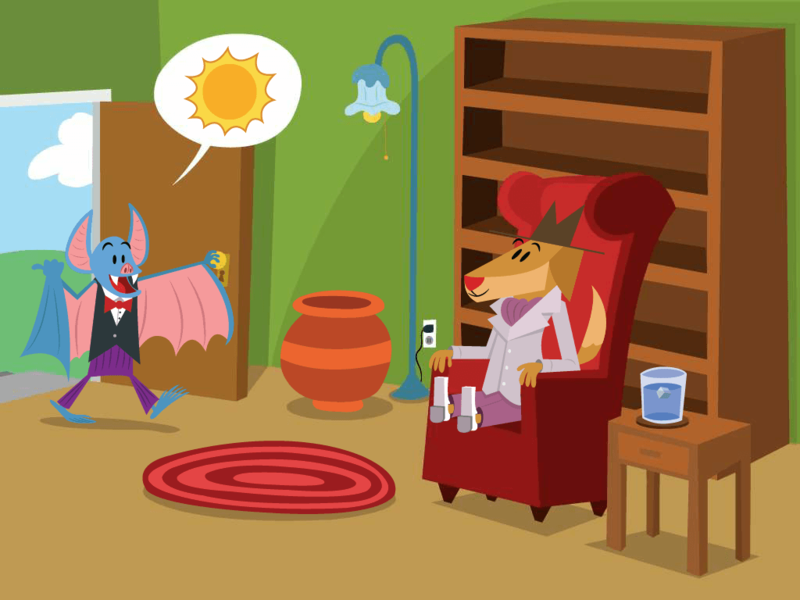 Learn all about rhyming words with this playful puzzle activity! 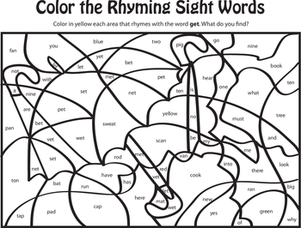 Your little one can practice his sight words and phonics as he matches up the pieces. Practice sight words and phonics by matching up these rhyming puzzle pieces! Print on thicker paper to create a puzzle he can keep and re-use.